There's been a lot of talk about Frozen lately. Kudos to the marketing people at Disney, because Frozen is EVERYWHERE. (Although, if I see another "most amazing cover of 'Let It Go' EVER!!" on Facebook, I might claw my eyes out. I'm not sure hooooow many people on the planet can record the best version of this song EVER..........but it's getting old.) Anyway. There's also been a lot of talk about the "hidden" negative messages in the movie. I'm not super interested in discussing that here. What I DO want to talk about is the extremely positive and uplifting message that I got from it. And that is the lesson of SISTERS and ICY HEARTS. Anna has an icy heart. There are many times when we create our OWN icy hearts-- but this wasn't Anna's case. 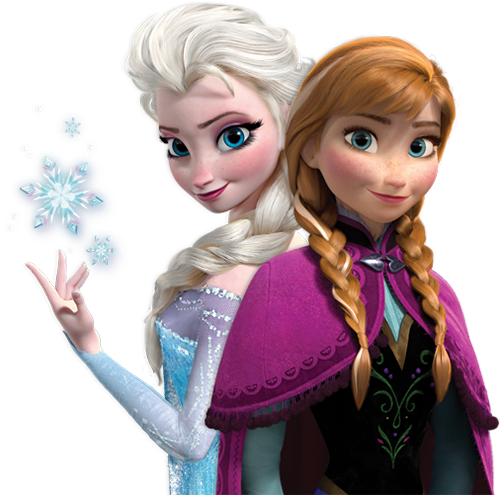 She had ice placed in her heart by her sister, Elsa. This was not Anna's fault, and it was unfair and undeserved. And although Elsa doesn't do this on purpose (and until the end, doesn't even realize she's done it at all), the ice in Anna's heart IS real and will destroy her if it doesn't melt. Here's the clincher: Although this is essentially Elsa's doing, Elsa cannot make it better. I've thought a lot about this. I've thought about the people in my life, and I've thought about myself. I've started to realize that many hearts of my loved ones are icy because (as in Anna's case) a friend or family member PUT the ice there. A sister. An in-law. A co-worker. A spouse. Sometimes the ice is thrown on purpose. But usually it's not. And in so many cases, there's a lot of waiting around for the Ice Throwers to melt the ice. Frozen teaches us that this isn't the way.Only WE can melt the ice in our hearts REGARDLESS of who put it there. Regardless of whether or not we deserved it, or if it was our fault, or if it was intentional. 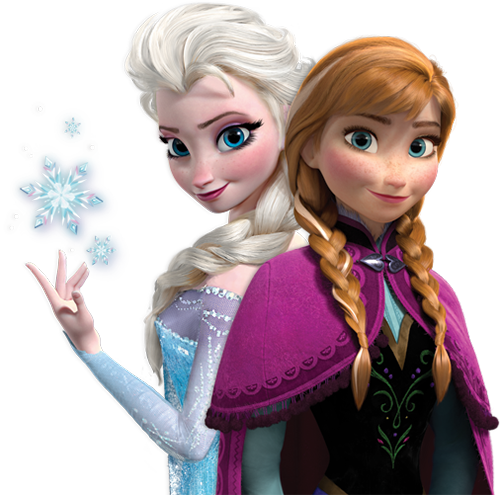 Frozen teaches us there are more important things than justice, fairness, consequences, or retribution. The most important thing is your heart. And if, in the end, you become bitter, hardened, unforgiving, stagnant, and cold-- the ice has won.So how do we melt the ice? Anna thaws her icy heart by performing an act of unselfish love FOR the one who put the ice there in the first place. She has no hidden agendas. No ulterior motivations of validation or secret hopes of receiving an apology. And if I'm remembering correctly, Elsa never does actually apologize. But that doesn't matter. Because that's not what Anna was after. I was deeply moved by Anna's example of unselfish Christlike love, which ultimately saved her life. She didn't need a hero with a sword, the magic of trolls, or even Elsa to remove the ice. She herself had the power all along.The gospel of Jesus Christ gives us each this same power. He constantly had ice thrown at Him, but His heart could never be made cold. Following His example of humility, service, compassion, patience, charity, and forgiveness protects our own hearts from becoming frozen.He teaches us that relationships are the most important thing on earth, and often they are in need of repair. Many times they can be mended. Sometimes they cannot. And often it's the frozen heart of another that causes us great pain. While we would do anything in the world to thaw someone else's ice, all we can do is patiently wait for Christ to step in and help them, as He has helped us. "And the Lord direct your hearts into the love of God, and into the patient waiting for Christ” (2 Thessalonians 3:5). Ultimately, Frozen teaches us to be more worried about the condition of our hearts than our pride or our need to be right. These things will freeze our ability to progress, our happiness, our peace, and our character. A frozen heart will most certainly distance us-- not only from our siblings, our parents, our neighbors, and our friends-- but also from God. and give them a warm hug today.